As many of you know, AASL’s Standards and Guidelines Editorial Board is diligently working to update and align learner, school librarian, and program standards to current practice and future needs. This process has been deliberate and thoughtful; we’ve embarked on a multilayered survey, data, and research approach to inform and guide our work. Standards are everywhere—on the products we buy, the food we eat, the topics we teach, and on and on. But why are standards important for school librarians? School librarianship, as a profession, is governed by a set of professional standards that define its members’ practice. 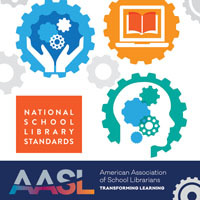 AASL’s standards and guidelines help school librarians outline ways to provide high-quality learning experiences that prepare learners for college, careers, and citizenship; create dynamic information environments; and establish effective school library programs. In order to support current and future learning and professional activities, the seven-member AASL Standards and Guidelines Editorial Board is updating the widely used current learner standards, school librarian standards, and program guidelines. The editorial board began their work in March 2015 and will conclude their work in November 2017. The standards updating process is multiphased and centers on community consultation—you are the foundation of our work! 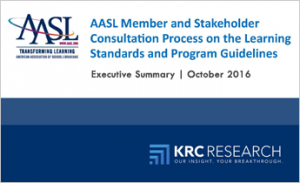 In the first phase, AASL commissioned KRC Research to widely engage members and stakeholders in assessing current needs and visioning the ideal standards for the years ahead. 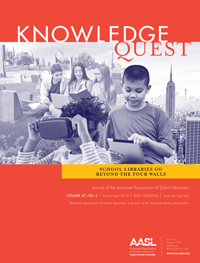 AASL and the editorial board worked closely with KRC to develop a national survey and conduct national and affiliate focus groups. In the course of these activities, over 1,300 of you shared your views and provided us with the evidence we need to create a document for your future—thank you! As the Executive Summary of that evidence just released today reports, you value your standards and guidelines, but feel they are underutilized. 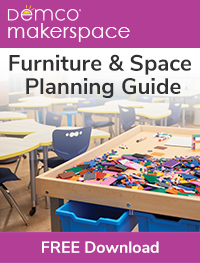 You told us that with refinement, many of the current concepts continue to be relevant. You asked us to improve and simplify the current presentation to enable your use. Finally, you identified opportunities to make positive differences with the standards. We encourage you to review this work and locate yourself in its conclusions. These findings have provided the editorial board with valuable insights that we are working hard to honor, support, and promote within our current work. As we draft your new standards and their implementation plan, we will be providing more opportunities for you to inform our work. Thank you for allowing us to serve you and your future. Onward! Shulman, L. (1998). Theory, practice, and the education of professionals. The Elementary School Journal, 98 (5), 511-526. ‹ AASL on the Road for You!